For over 14 years we have been graced with the community-produced Xbox Media Center (or XBMC). So often have I brought it up with family and friends to only get quizzical looks/comments in return. “So its for Xbox?”, “…but I need something to run on a computer”, “you’re not my Dad”. It is true that the idea and general principals of XBMC started off from the media center that shipped with the original Xbox but it has certainly branched far and wide from its distant Microsoft lineage. 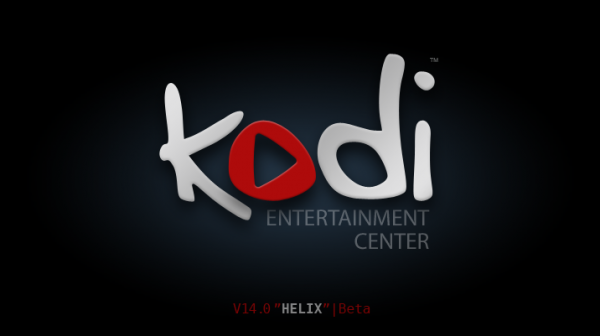 As such, the development team have decided in long overdue fashion to rebrand their work under the name ‘Kodi‘. So finally the name of the do-it-all media center will be changed to something completely different from any Microsoft ties to reflect its underlying code. OK and now for the real plug. Kodi (XBMC) is the best because… it plays everything, just like the old mplayer but with a nice media library wrapped around it. Not only does it play just about any audio or video format but it can play it form network drives, streaming addresses, Samba, WedDAV, FTP, AFP, that goofy Bonjour service, and the list goes on. Over the past couple versions it can now play media TO just about anywhere. You can use a Kodi instance running on another computer as a server to play via DLNA and the Bonjour thing again. You can sync all your Kodi computers to the same library so that when you have to go upstairs you can stop the movie downstairs and resume it on the other computer upstairs. You can even use a MySQL database backend to manage you movies if you are a real power user (its actually pretty easy to set up). It has apps. Pandora, Live TV streams. You can change the look with different skins. Starting with the new release of Kodi, which just entered beta status, it will play games. That means emulators for all the classic consoles. Playing ROMs has long been a function of XBMC but only as an addon but now it will be built in natively so it can take over even more of the entertainment responsibilities of your media center. Here is an article about the complete list of feature additions, its impressive. Couple other features. It has a well developed remote that you install as an app on your phone and use over the wifi. It is cross-platform: OSX, Windows, Linux, Android, RPi, AppleTV. So long story short. XBMC is now Kodi and the website has changed. For now xbmc.org redirects to Kodi.tv but who knows how long that will last. Don’t let this awesome app get lost into the black hole of the .tv domains. Source: my own setup and 10 years of running xbmc. Two servers in two homes that sync mysql databases periodically. The media files are stored on mirrored Samba file shares that also sync periodically. At each house here are 3-4 mixes of Windows, OSX, and linux machines that have XBMC installed and use the headless servers for all the data and databases. They stream our Netflix account, MLB.tv subscription, Pandora, control my Sonos, torrents, music library. I dare you to find another piece of software that can do all this and do it cleanly with no (minimal, lets be honest) crashes or errors. Try it out, you’ll be impressed.